Premium 100% Natural Freeze-Dried Wild-Caught Sockeye Salmon Filet Bits Your Pet Can’t Resist! Premium all-natural sockeye salmon treats made with only 100% USA-sourced, wild-caught salmon — straight from the waters of the Pacific Northwest. And because we always like to add a little extra to everything we do, these salmon chunks have the skin kept right on the filet. A guilt-free, healthy treat your dog or cat will love! EcoTreats Wild-Caught Sockeye Salmon Filet Bits are the best way to give your pet the natural nutritional benefits of raw, wild salmon. These treats are freeze dried to remove only water, preserving the beneficial nutritional integrity and flavor of fresh whole salmon to make a healthy, tasty treat pets love. Our salmon filet bits are a great source of Omega-3 fatty acids that promote skin, joint, and brain health. Treats should be a part of every pet’s life and you can be happy knowing you are giving your fur baby a healthy, guilt-free treat they can’t resist! Does your dog or cat crave tasty treats? Do you worry that many store-bought pet treats may have possibly harmful additives, flavorings, chemicals, and preservatives? Do you wish you could get premium-quality pet treats with absolutely no artificial ingredients? You're not alone! Get a HEALTHY, MOUTH-WATERING, LIP-SMACKING, YUMMY Treat You and Your Pet Will LOVE! EcoTreats Wild-Caught Sockeye Salmon Filet Bits are made in the USA under the highest quality control standards, so you can rest assured that your pet is getting safe, natural, nutritious treats! Because salmon is a lean fish and naturally high in protein, it is packed full of a healthy balance of EPA, DHA, Omega-3 and Omega-6 Fatty Acids -- we don't need to add anything extra in order to get great health benefits - it's already there....naturally! You and your pet will instantly notice the rich color of the flesh and skin. We keep the skin on our salmon for that boost of flavor & nutrients. Again, our freeze-drying process acts as a method of locking in the aroma, valuable nutrients, texture, and freshness. Because they are 100% natural, these treats make a great addition to your pet's diet. EcoTreats Wild-Caught Sockeye Salmon Filet Bits are great for use as a reward or training aid. Treats help make training fun!...and your pet will thank you for giving them these delicious, flavorful bits of goodness! Your pet will go crazy over these treats and you'll be crazy in love knowing there is only one simple ingredient: wild-caught sockeye salmon! So come on pet parent, if you want to give your dog or cat a delicious, healthy, guilt-free treat with an amazing flavor they will love, look no further then EcoTreats Wild-Caught Sockeye Salmon Filet Bits. 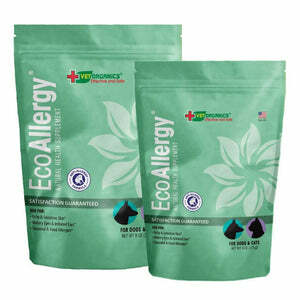 Get EcoTreats Salmon Filet Bits Now & Show Your Affection! TYPICAL AMINO ACID PROFILE: Alanine 3.11%, Arginine 3.58%, Aspartic Acid 4.16%, Cystine 0.67%, Glutamic Acid 6.67%, Glycine 3.84%, Histidine 1.32%, Isoleucine 2.15%, Leucine 3.66%, Lysine 4.02%, Methionine 1.65%, Phenylalanine 1.90%, Proline 2.52%, Serine 2.20%, Threonine 2.52%, Tryptophan 0.48%, Tyrosine 1.65%, Valine 2.49%.